Experienced crossbow users know the significance of using an efficient crossbow scope. Owning a top-notch crossbow is not enough to excel in hunts and competitions. These days, it’s hard to find the best crossbow scope. That is why we present to you the top crossbow scopes available today on the market. The ​​​ Nikon 8461 Bolt XR is a multi-coated crossbow scope with a shockproof, a fog proof, and a waterproof body. This black nonglossy crossbow scope measures 2 inches in diameter and 8.1 inches in length. The Nikon bolt XR only weighs 0.7 pounds. Therefore, it does not add to your crossbow’s weight. Furthermore, this crossbow scope has 3x magnification power which increases the zoom limits of your vision. It is capable of detecting moving objects for 60 yards. This is because the magnification is accompanied by a Bullet Drop Compensation (BDC) 60 reticle. The reticule offers accurate and precise crosswire focus from as far as 60 yards. Another useful feature is its parallax configuration of 20 yards which heightens crossbow performance. So, what makes this crossbow scope one of the best? It has accurate BDC, crystal clear lens, and magnification. This crossbow scope is a worthy upgrade for your crossbow. It does not only hold zero precisely but also possesses sharpness perfect even for old eyes. It has a lightweight and a compact design; therefore, it will not add to the total weight of your crossbow. The large ocular offers a quick focus and an eyepiece that can withstand water, fog, and shock. The non-illuminated scope transmits as far as 92% of available light for contrast and brightness. Its zero turrets provide quick focus and eye relief. The high-tech BFC reticule provides accurate aiming points that can increase your kill rate and precision. It is not okay in woodland hunting because the BDC washes out in dim areas. The scope only produces 30-60 yard circles. The scope does not feature a horizontal line which makes it hard to line up the target object. The ​​​​UTG 4x32 Pro 5-Step reticle crossbow scope is an accurate and durable scope for any crossbow. It has a wide-angle peripheral vision that is essential for hunting with less powerful and slower bow system. So, if you own a low-performance crossbow, then this could be the scope for you. The 4X32 1" crossbow scope is designed on the full bodied True Strength Platform; therefore, it is fog proof, shock proof, and rain proof. What made this crossbow in the top 5 is its Pro 5-step range finding reticule. This feature is particularly calibrated for calculating range on a 300 Frames Per Second (FPS) crossbow. The reticle of the UTG 4x32mm pro 5-Step reticle crossbow scope can also lighten up in either green or red with the use of the Side Wheel Adjustable Turret (SWAT) dial. It would be useful in low-light shooting particularly when accompanied with the broadband lens coating found on the UTG scope. 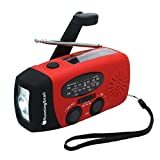 This product is also equipped with a premium zero-lockable and zero-resettable target style elevation and windage turrets, and an important sun shade that can eliminate glare. Less expensive than its rivals. ​Its pro 5-Step Reticle Crossbow Scope that increases range finding even with just 300FPS makes it a great enhancement for low end or high-performance crossbow. Its SWAT dial is perfect for covert hunting operations. The swat dial is difficult to configure. It has sighting issues with regards to illumination. 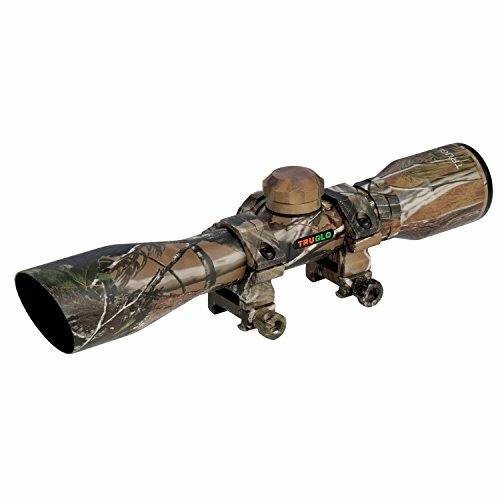 This durable and well-built camo designed crossbow scope offers easy aiming and flexible light illumination. 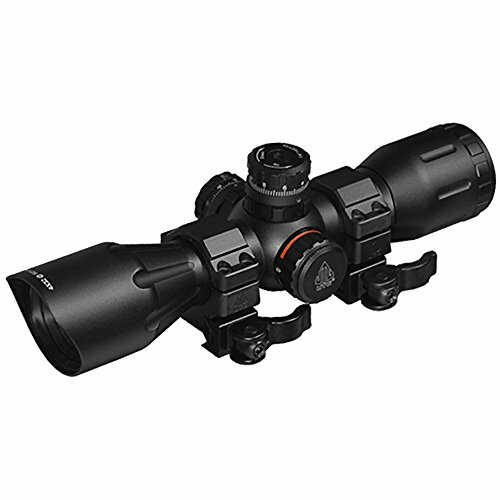 The ​​Truglo Crossbow Scope 4x32 with Rings APG can be used from dawn till dusk. ​This is a good crossbow scope for its worth. It is perfect for any crossbow for it fits as expected. It also offers an extremely accurate scope and a solid casing. The product’s durability is what its buyers and users had repeatedly contemplated. This product also comes with a limited lifetime warranty for its scope, and a cleaning cloth for its lens. 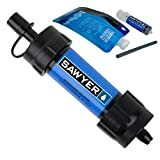 Its tube is crafted from a highly compressed aluminum metal which provides robust elevation and windage. Its solid and sturdy casing offers long lasting durability. 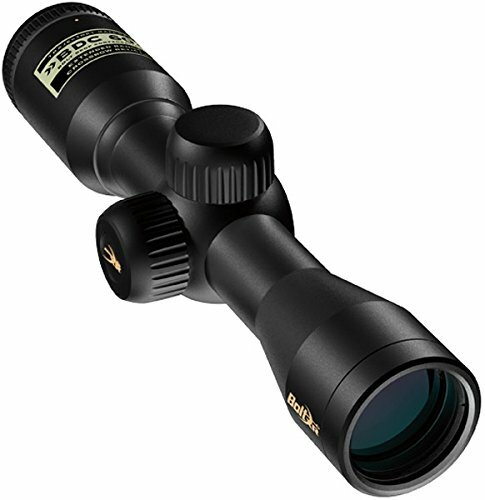 The excellent scope is designed to cover distances of 50 yards. The transparent lens is connected with an elastic string providing flexibility and movability. 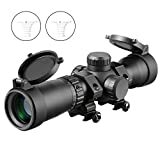 Its exceptional trajectory and range finding reticle provide sufficient eye relief. Its scope is not fog proof, but it can be remedied by a cleaning cloth. The scope often becomes blurry and loses its magnification, especially during rainy or humid days. The scope is sometimes not adjustable therefore limiting scope adaptability. The ​​​​Trophy Ridge Speed Comp XV525IR Crossbow Scope​ is what you will love and use over and over. 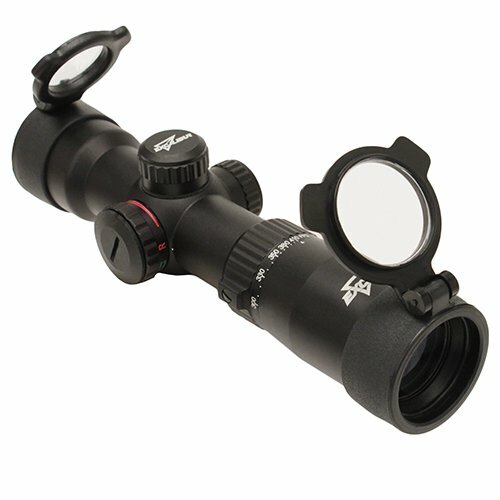 It provides a yardage up to 100 yards and its super transparent lens help in spotting target objects quickly. The design of this crossbow scope is top-notch. This is beautifully and sturdily constructed. 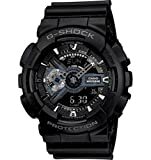 Its black matte design adds to its magnificence. 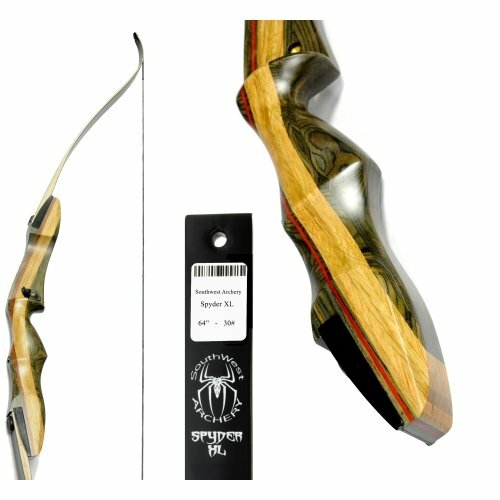 The Trophy Ridge Speed Comp is an excellent addition to any crossbow for ​its price tag is lesser than what it is worth. The scope also has a flexible compatibility. You can mount this on any high end or low-end crossbow. Its sturdy built signifies a stable and a sleek structure. Its design and configuration make it simple and easy to use. The ultra-clear glass increases your precision and accuracy. It also incorporates a clear, sharp optics and an unilluminated reticle for intelligent aiming shots. It is basic therefore it does not offer any necessary adjustments. The dial does not support any flexibility. It does not have an ultra-magnification feature. The ​Excalibur Tact-Zone is a compact and an illuminated crossbow scope. It is 13 inches long and weighs less than a pound. It fits as expected in any crossbow. The tube of this crossbow scope measures 30mm in diameter. The Excalibur also incorporates a 32 mm optic for its objective lens. The Tack Zone crossbow scope possesses a 6x magnification and a 2.5x variable zoom. This feature allows you to set your target at a moderate zoom. 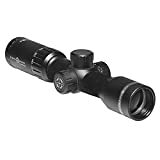 Its 6x magnification increases accuracy and precision for instant prey kill. It has adjustable green and red lens along a brightness control. These features allow good vision on any light levels. Its great scope offers up to 60 yards yardage. The speed dial is well constructed and versatile providing durability and movability of its lens. There are no rings included in the scope; you must buy the rings for yourself. It possesses a complex crosshair, so sighting is not that simple. It has no illuminated reticules. There are important things to examine before spending your money on the crossbow scope of your choosing. The most important factor to consider is the compatibility of the scope to your crossbow. But, this is not the only feature that you should view. Several aspects should be rated. These attributes are explained below. Crossbow scope varies in sizes and weight. The decision is all up to you when it comes to choosing the right scope for your crossbow. But, do keep in mind that it must be compatible to your weapon, and lightweight enough to not hinder your accuracy and precision. It is advisable to go for small and light scopes especially the ones that weigh less than a pound. The heavy ones can unbalance your shots and obstruct your field of vision. You probably would want a crossbow scope that covers a wide area of about 100 yards when you are out hunting. You will need a scope that possesses a good peripheral vision to do this. The greater the vision, then the easier it is to spot movements. A wide field of view is necessary for hunting, especially if you are hunting small game. After choosing and buying your crossbow scope, you still need to mount it on your hunting bow. There are three types of mounting options for crossbows; They are the dovetail, the weaver, and the Picatinny rails. The mounting rail you select shall rely on your crossbow. Most crossbows are compatible with weaver rails while some work with dovetail rails. You should analyze and examine the product first to choose the right mounting system for your crossbow. This is an important factor to consider when buying a crossbow scope. Crossbows are usually exposed to different weather conditions. Sunny, windy, rainy, and stormy weathers all pose a threat to your scope. That is why it is essential to select a product that can tolerate even the harshest of weather. You should choose a sturdily built crossbow scope to ensure a long shelf life and an excellent durability. Fog proof, shockproof, and water proof features are also important points to consider. Most long-lasting scopes incorporate a rubberized covering and an aluminum composition. 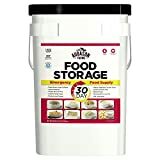 These materials protect it from knocks and falls. Make sure that the crossbow scope that you are going to buy is fog proof because this feature can significantly enhance the scope’s image quality and accuracy. You must consider the maximum yardage of the product. This is important because such function affects the total distance that your vision can reach. The brand of the product should also affect your decision. We advise that you stick with reputed and prominent brands. 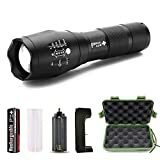 You must also regard the versatility of its features like how easy to adjust the scope and how well does it work in low lighted areas. Find the adjustment levers on your crossbow scope. Start at a point that is 10 yards from your target object to check if the scope is correctly installed. Move 20 yards away from the target. Choose a specific distance for your dot or top reticle. Proceed into shooting the target and change the elevation and the windage configuration to increase the distance between the target and you. 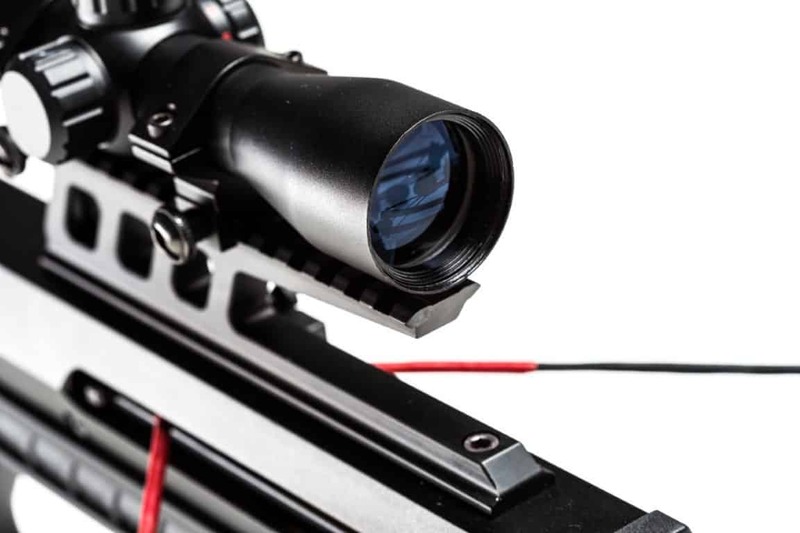 Crossbow scopes can significantly affect your accuracy and precision. Who does not want that? Exceptional hunting skills and high-performance crossbows are not enough to excel in crossbow sports. A right crossbow scope must accompany all. Accuracy is essential when you are hunting live targets. It is important to ranged shooting as well. Having poor accuracy due to a low-end scope can cause bad shots. A bad shot can make an animal suffer if it is hit in a nonvital area. It will cause the creature great pain and suffering, and we don’t want that. Arrow placement is vital especially if you are practicing for a tournament. Training with a scope can assist you with right grouping. A crossbow scope will enhance your peripheral vision and your shooting range. You can easily kill a target when you accompany your crossbow with a scope. Having a scope also improves your shooting elevation if you are hunting in hilly or mountainous areas. Crossbow scopes enable adjustments to many aspects of your crossbow, thus improving your shooting skills. This is a superb advantage of owning a crossbow scope. Having one can increase your self-esteem and change your mindset. It can significantly impact your shots because now you believe that you are capable of doing or killing many things in many different circumstances. Owning a good crossbow scope can increase your hit rate. Not everyone can master the art of crossbow hunting, and many encounters a hard time hitting distant objects, but if you possess ​a great scope then shooting those moving targets would be a piece of cake. Among the ​products ​listed here, we choose the ​​Excalibur Tact-Zone ​as the best crossbow scope because it incorporates a 6x magnification feature (along a 2.5x variable zoom) which increases precision and accuracy for instant target kill.